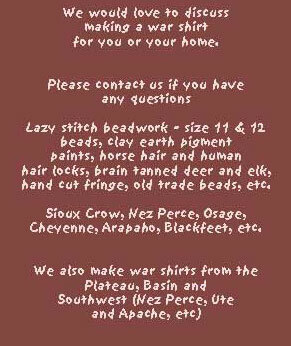 War Shirts of the Native American Indian | Plains Indian - Cheyenne, Sioux, Arapaho, Crow, Kiowa, Comanche, Apache, Blackfeet, Nez Perce', Ute, etc. 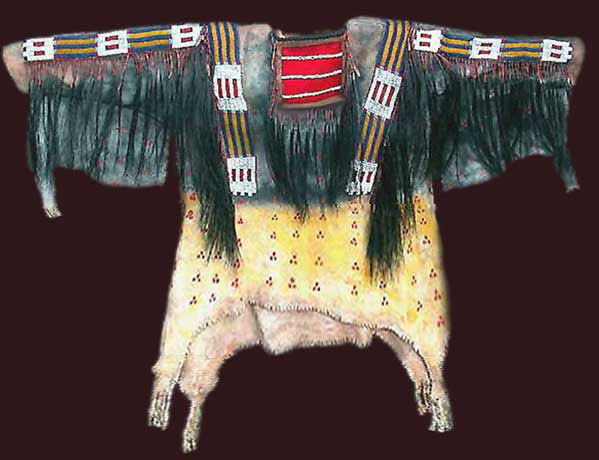 Based a museum SIOUX, LAKOTA, OGLALA shirt. 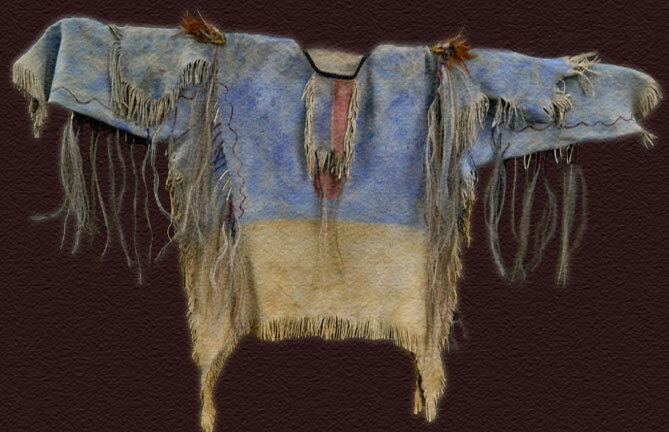 BRULE SIOUX WAR SHIRT (front of shirt) based on shirt from the Museum of the American Indian, New York. 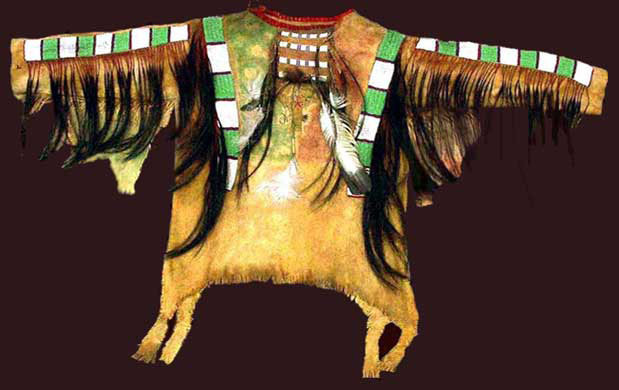 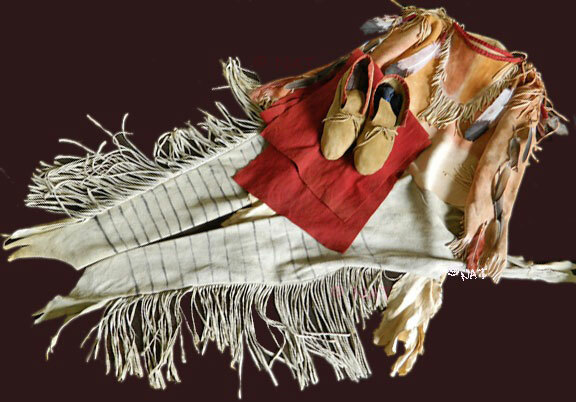 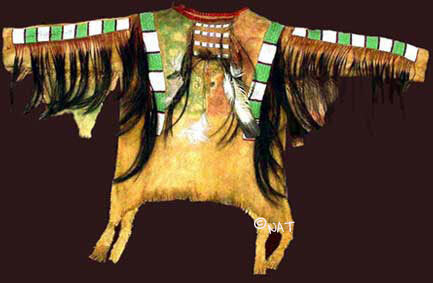 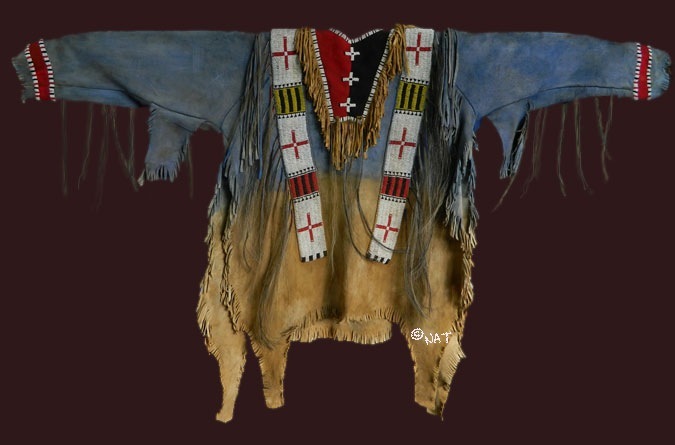 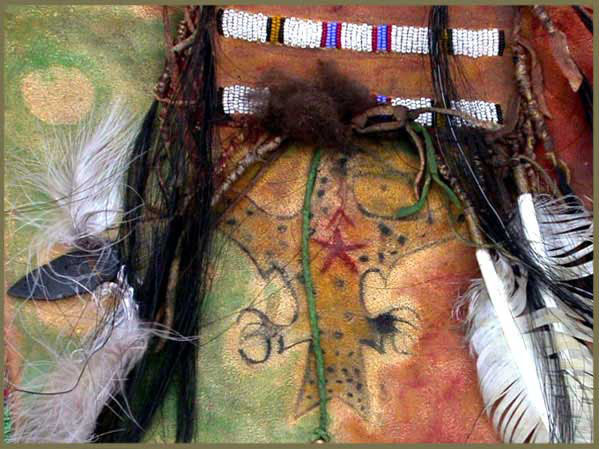 Early shirts were painted and decorated with quill work and bigger beads. 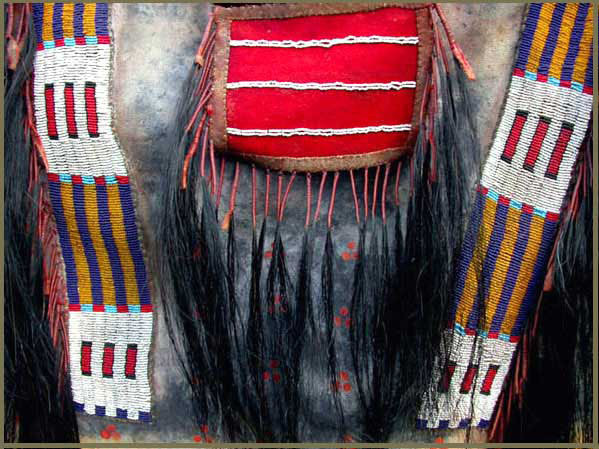 In the last part of the 19th century, shirts became more colorful with smaller beads and more intricate designs. 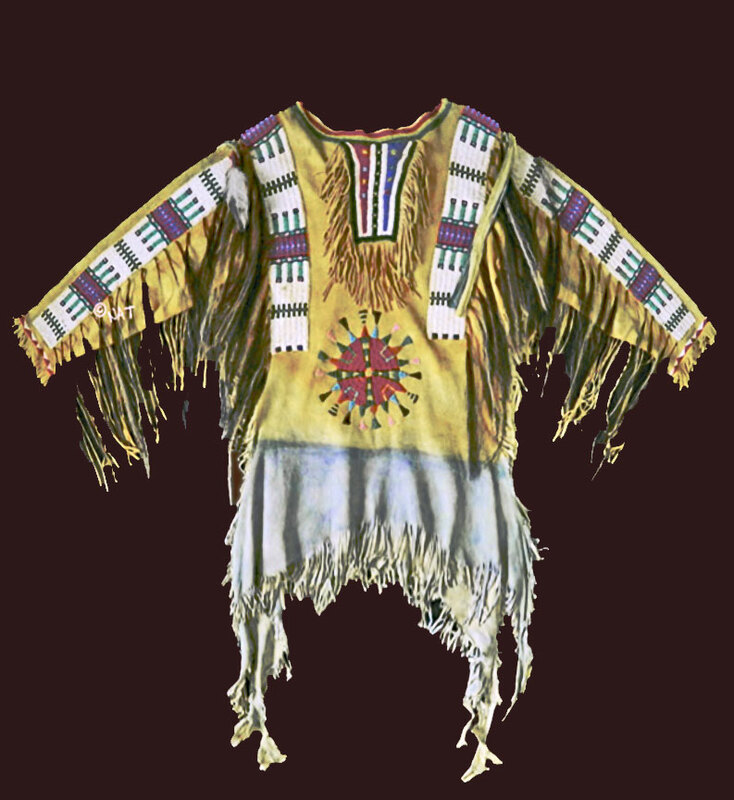 WITH A LARGER MEDALLION This is the back of the shirt. 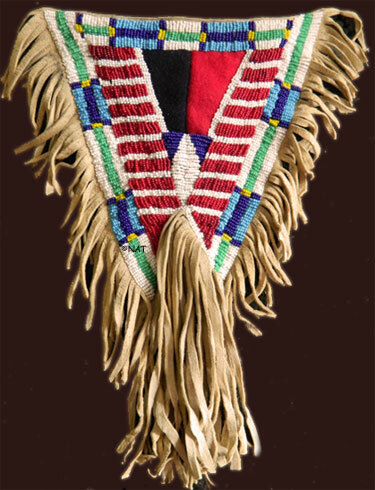 The front is similar with a green medallion. 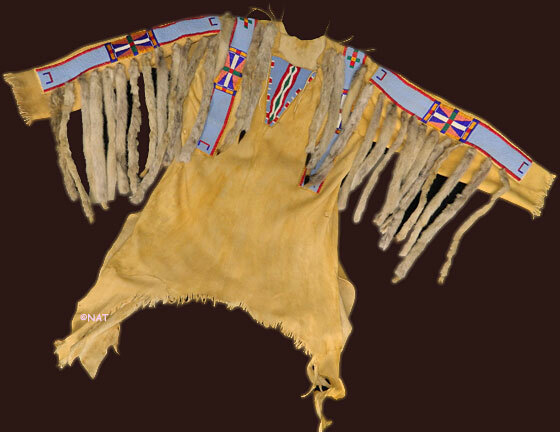 Bib for shirt (not antiqued to look old). 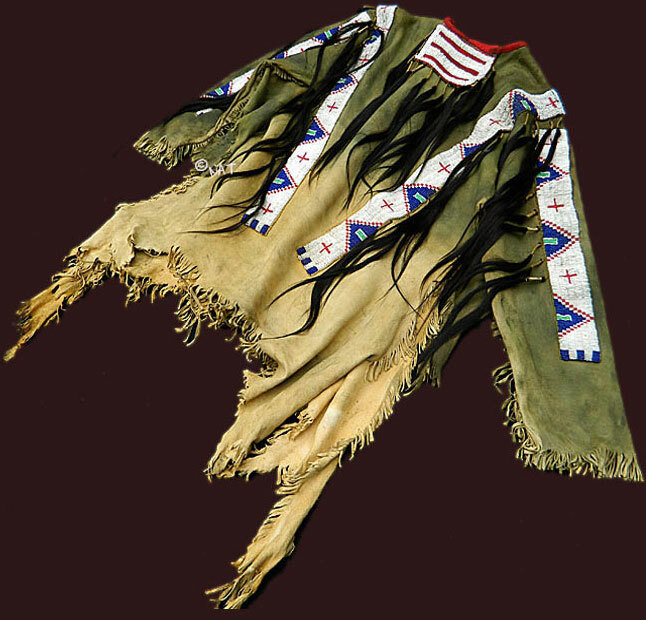 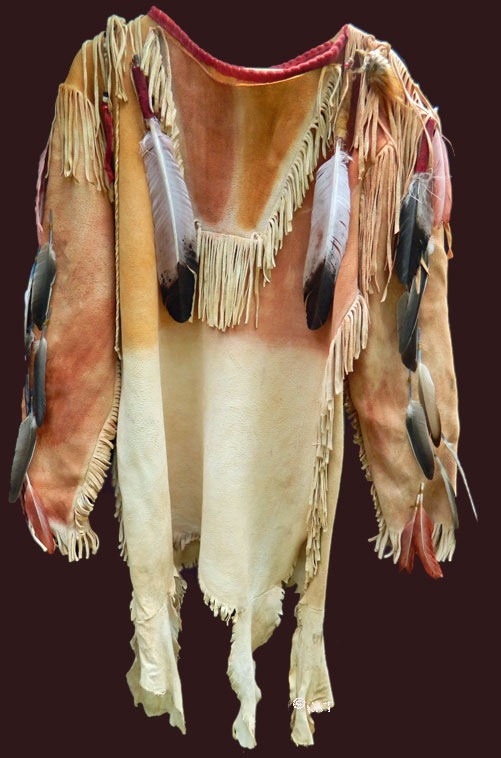 It is based on Red Cloud's shirt bib.